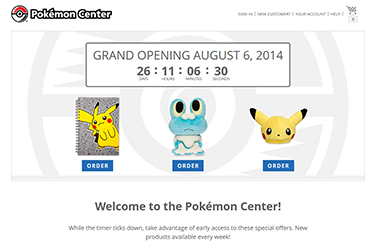 Pokemon Center Site Coming Back! If you are a Pokemon lover (and the human around here is) you might remember the American Pokemon Center stores. Even the website went away. Why did they go? Our owner laments this, especially when seeing the awesome merchandise you can still buy in Japan from Pokemon Center which then ends up on Ebay for way more than it originally cost. The Pokemon Center website – pokemoncenter.com – is returning! Fully opening on August 6, each week they are offering three new products which you can order. Only 26 days to go! This week is a Pikachu notebook, a Froakie stuffed toy, and a stuffed Pikachu hat. This is so exciting! 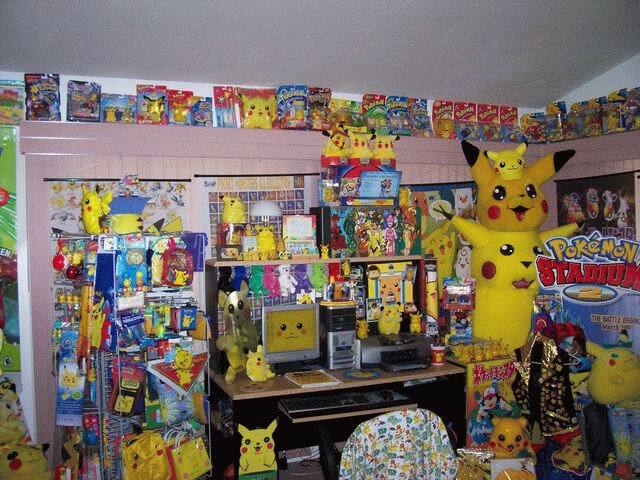 Finally, access to Pokemon merchandise that you either cannot get at all or could only get for exorbitant prices from sellers on the likes of Ebay. Anyways, our owner is excited so we are passing this along to everyone. 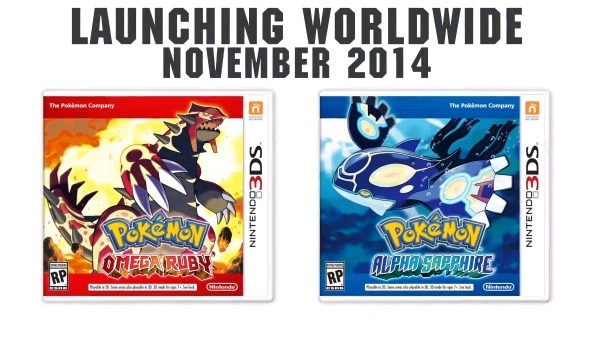 Nintendo announced today for the 3DS the new Pokemon games Omega Ruby and Alpha Sapphire. 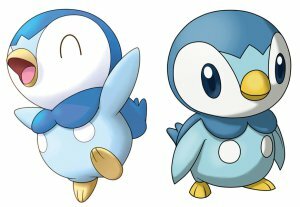 Not much is currently known about the games except that it is a new take on the old Ruby and Sapphire games, and it will we out in November. Hopefully these two games will take the best of the originals and spice it up with better graphics and story. 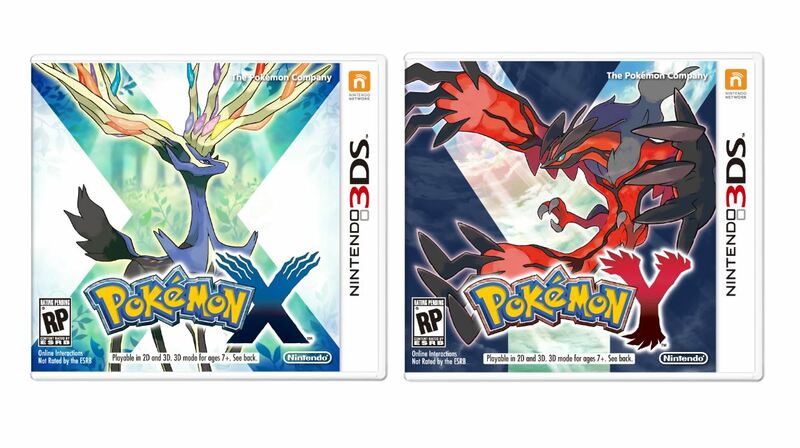 Pokemon X and Y Available Now! 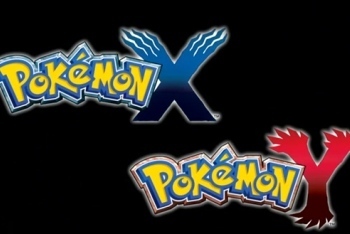 Today, October 12th, is the official release day of the new Pokemon X and Y games! Why are these Pokemon games so exciting? 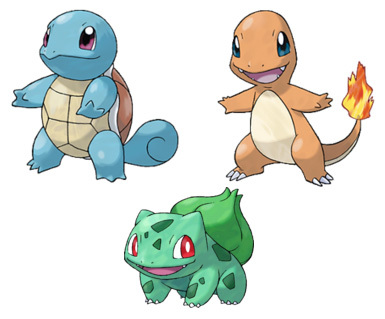 Aside from the addition of yet more new Pokemon, this game brings the original three starter Pokemon back – Charmander, Squirtle, and Bulbasaur. These new games are for the 3DS and feature full 3D renderings of pokemon as have never happened in this type of pokemon game. 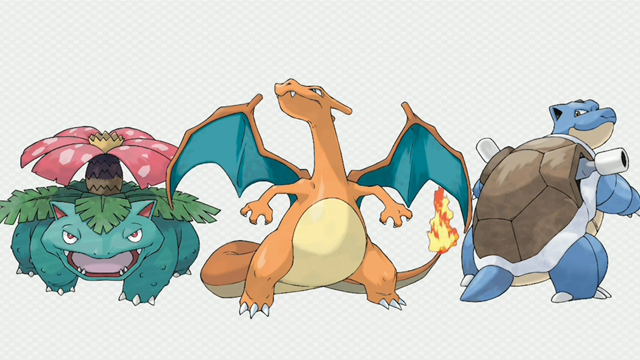 There are also new evolution form called mega evolution. These games are refreshing, and I am super excited to start playing. Some stores did a midnight release of the games, and I already have my copies of the game! If you are interested in Pokemon you can get your copies now! 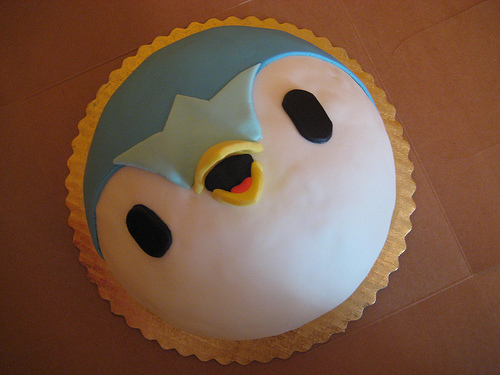 I thought I really liked Pokemon, but after seeing these pictures I am very wrong about how big of a fan I am. I grew up with the games and tv show. I played the games, collected the cards, and had a few toys. Nothing I have compares to the love this woman has for the property and Pikachu. I am guessing that she too grew up with this, but had more money (and probably love) than I did to invest in her collection. 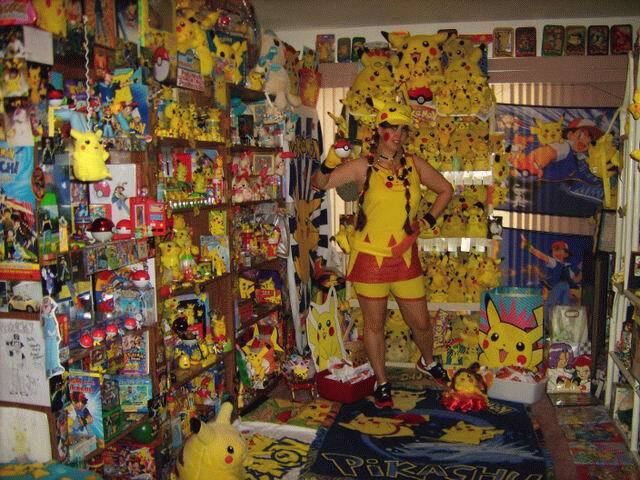 Her tv area is covered in Pokemon, mostly Pikachu. She even has an episode on the tv with a scene featuring multiple Pikachus. 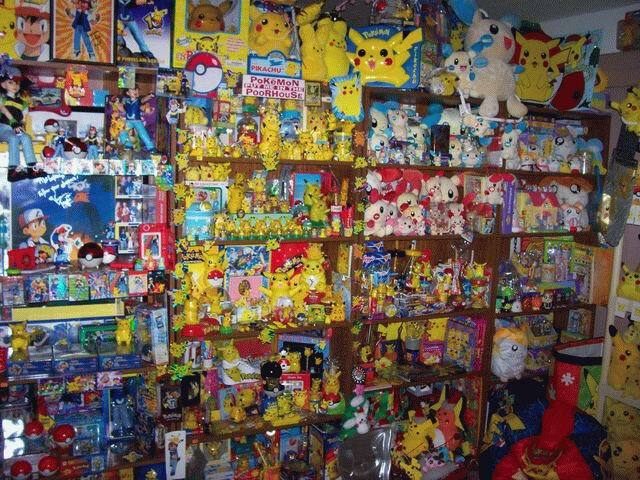 Book shelves covered in Pokemon toys, even some duplicates. 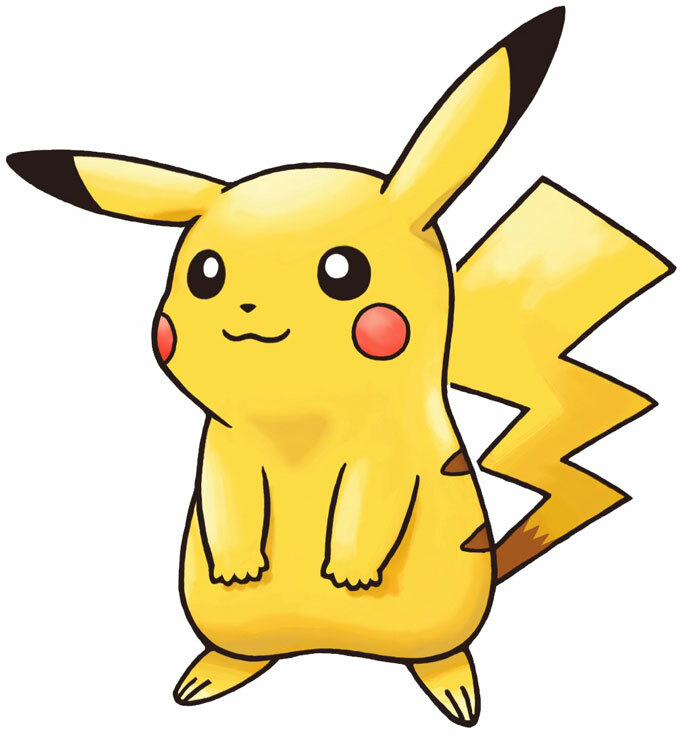 I like the yellow Peep rabbits, one with black ear tips and red cheeks like Pikachu. 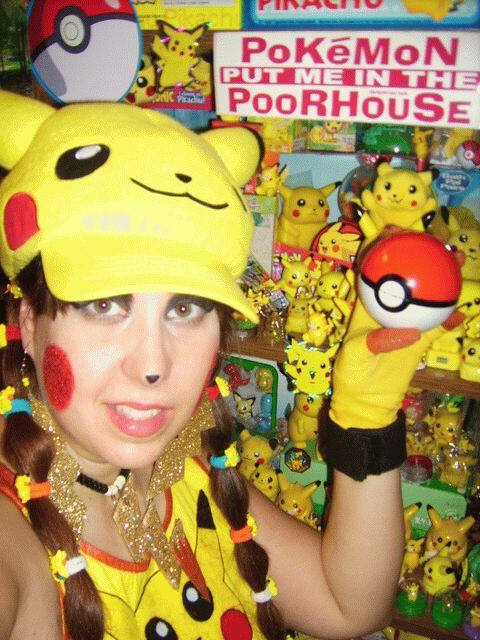 I love the sign “Pokemon put me in the poorhouse.” I can only imagine how much all of these items cost. Especially because many of them had to come directly from Japan or China and shipping is not cheap. She has a Pikachu Bug! Look at that car! 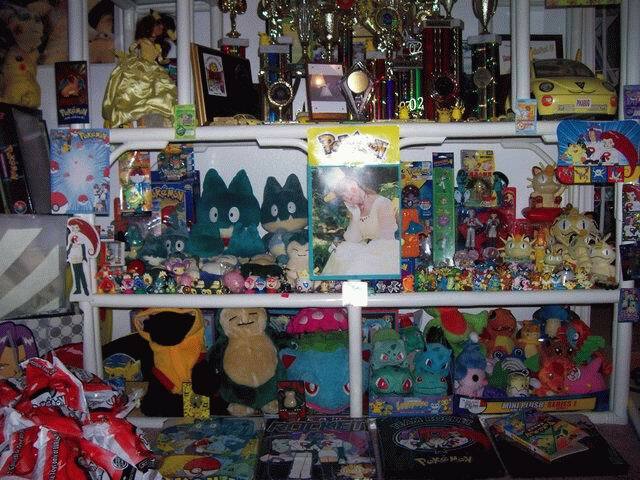 A wide shot of her desk area covered in Pokemon things. There are so many they even line the valences above the windows. If you want to see more pictures of her collection please visit webpark to see 40 photos! What Pokemon would I pick if I were to have collected so many items dedicated to one Pokemon? 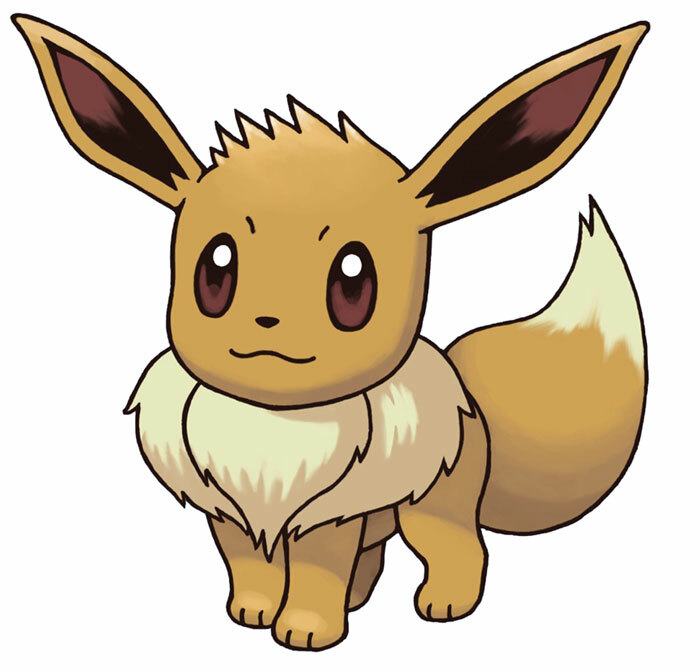 Well, it would probably be Eevee. But I love all of her evolutions as well so I think my collection would never have been as homogeneous as this one. 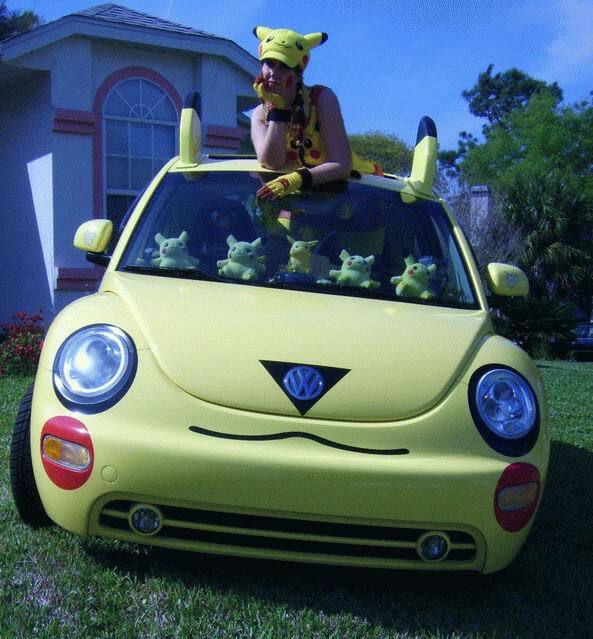 Plus, I would never own a car dedicated to something like this. Cars to me face too much danger to invest so much in aesthetically (something so unquie and probably expensive to fix if needed). The more I think about it, there would also be Vulpix, Ninetails, Charizard, Pikachu, and many more characters in my collection. My imaginary collection would never have looked this good in one place! 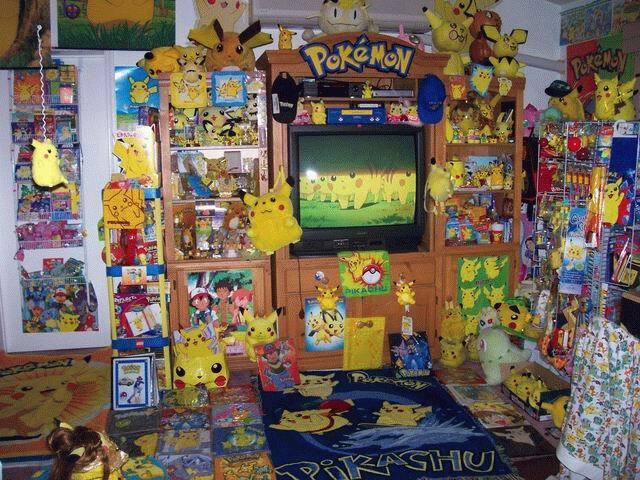 Are you the ultimate Pokemon fan? 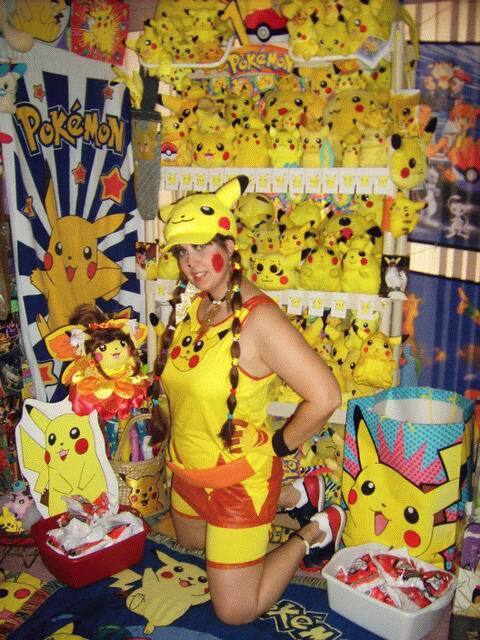 Think you have more items or money invested in Pokemon than this woman? Calling all Pokemon lovers! There is a new contest called Gotta Catch ’em All to honor the upcoming release of Pokemon X and Y! You hunt for Pokemon codes to enter for a chance to win Pokemon themed prizes. 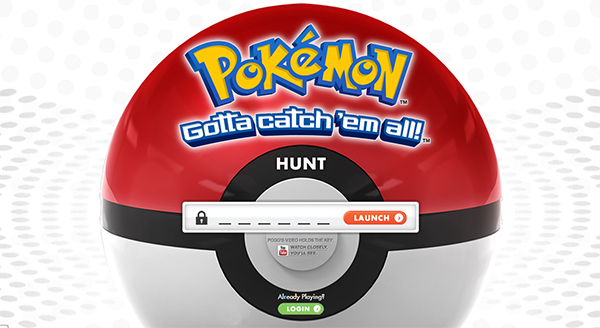 Once you enter the code and your information you reach a page of Pokeballs that when scrolled over provide clues to where you can find the next clues. A code will open a Pokeball to reveal the Pokemon inside, its information, give you an entry into the contest drawing, and a digital download of some kind (mp3s, alert sounds, backgrounds, etc). If you cannot find the codes, you can get one code to gain an entry for the prize drawings but won’t get a download. There will be four drawings over the next few weeks. The contest is only open to the US and related territories. Prizes include a 3DS XL, copies of Pokemon X and Y, Pokedex guide, cards from the Pokemon card game, and stuffed toys – over 50 items per week will be given away. I wish all entrants the best of luck finding the codes and in winning something! Pokemon X and Y come to stores October 12! 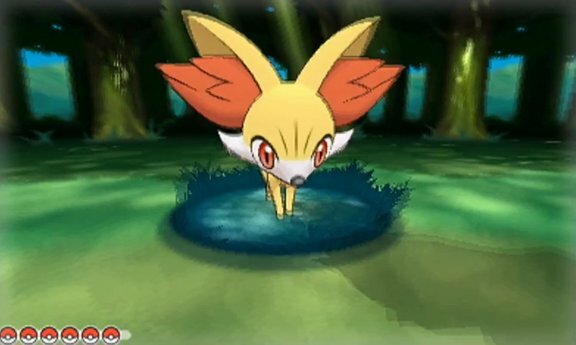 A brand new set of Pokemon games has been for released later in 2013, Pokemon X and Pokemon Y. 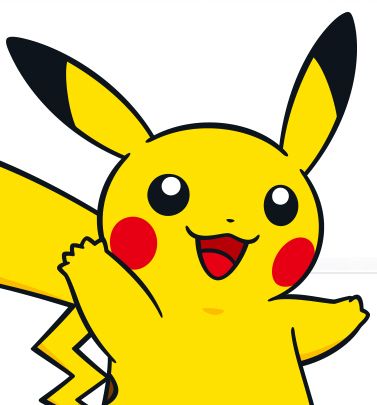 The games will be on the 3DS – the first full Pokemon game for the 3DS. Pokemon Rumble is out, but it is a very different style. A worldwide release of the game is expected in October. 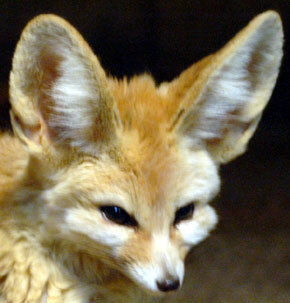 I am particularly excited for Fennekin because it is a fennec fox and a cute new addition to the Pokemon universe. As of yesterday, 3/6, Pokemon Black and White are now available! These two games feature all new pokemon until you beat the game. 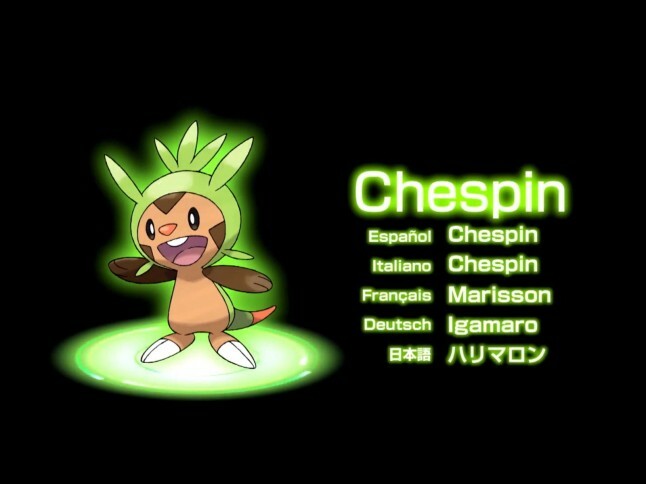 I have only played a little bit so far, but I have already encountered a couple new adorable pokemon. And, for those who buy the game early in the release (March 6 – April 10) there is a special item – the Liberty Pass – that you can download from the Nintendo WiFi channel. 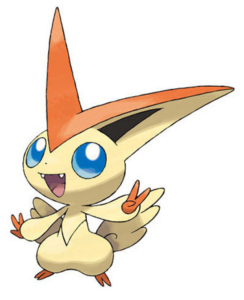 This will allow you to be able to catch the pokemon Victini, only available with the pass. 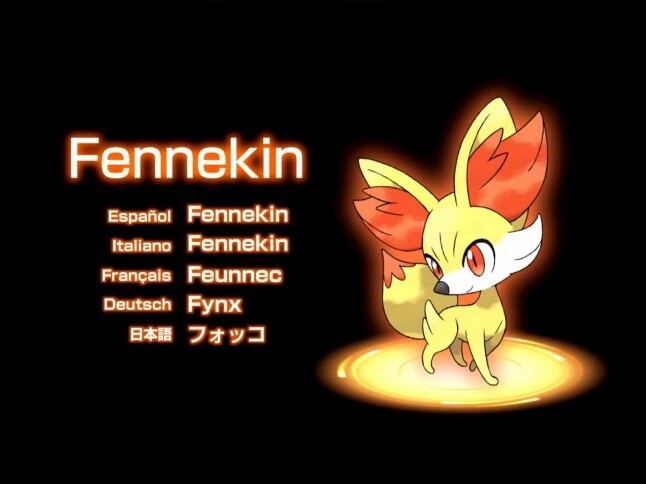 It is the first fire and physic type pokemon. 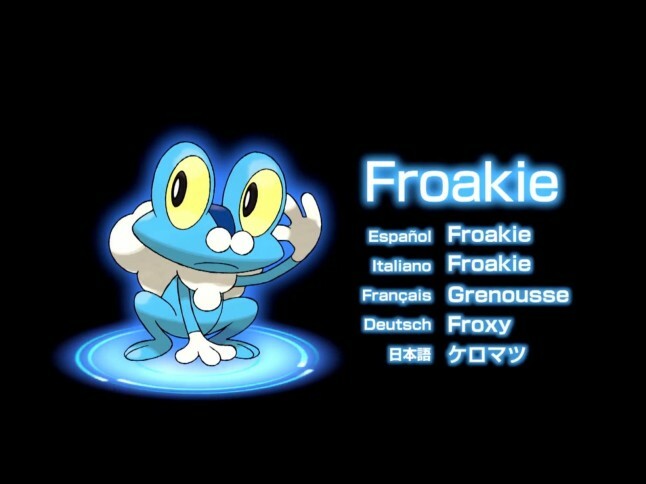 To learn more, visit the offical pokemon black and white website. 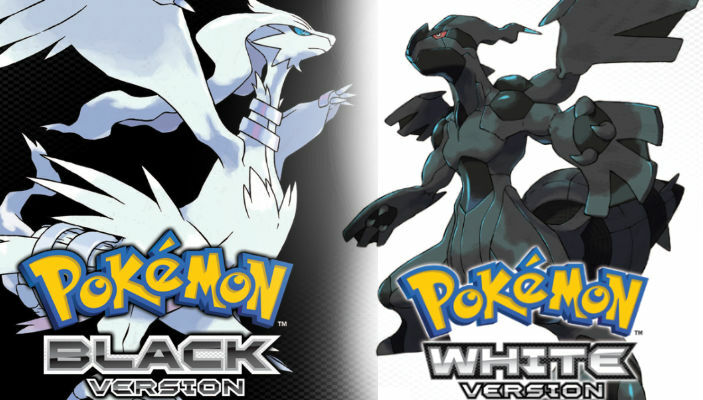 The next Pokemon game titles have been announced, Pokemon Black and Pokemon White! They will release this year in Japan. This corresponds with the previous post that I made about the new Pokemon Zoroark. It goes kind of slowly, but I really like the game’s new 3D look and the new battle sequences!